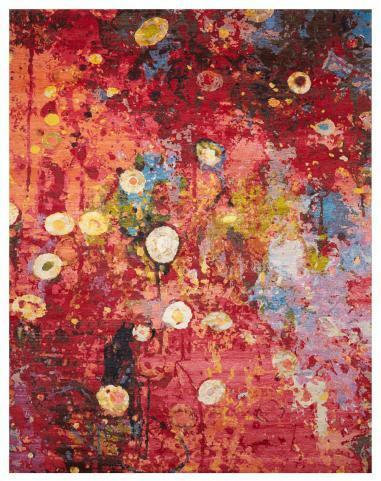 Art II Limited is a rug created from a painting, which is not hard to see as it is much like an art piece! A warm mixture of vibrant colors and movements, this rug is a force to be reckoned with. Hand-knotted in Nepal by skilled weavers - no child labor is used in the making of these rugs. (1) 8x10 available in showroom. Inquire within about custom sizes. We recommend a rug pad.